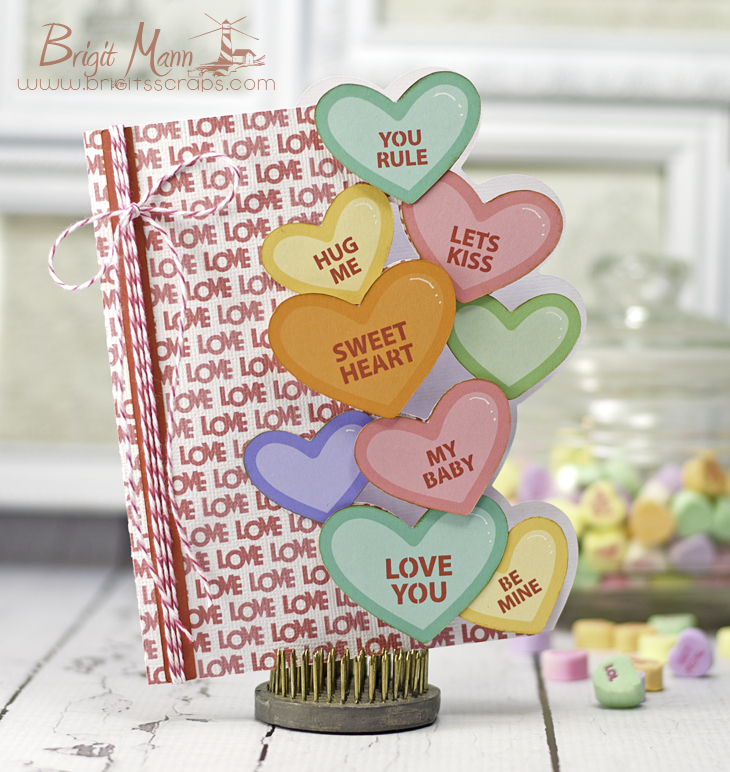 This Valentine card from SVGCuts new kit Love Struck reminded me of those conversation candy hearts. So I used the saying from the Valentine SVG Collection and did a print, scan and cut with my Brother ScanNCut2. Such a fun card that was quick and easy to put together. What a fun card! I love this, Brigit!! !